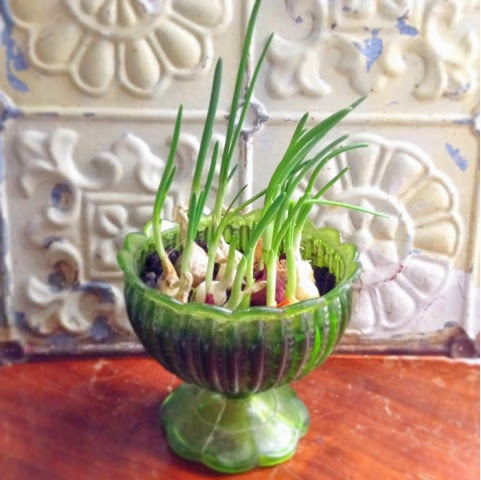 Mama G's Big Crafty Blog: Garden update! Well the weather finally broke so we have been doing lots in the garden the past few days. 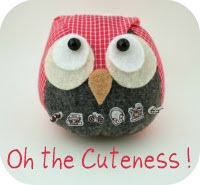 Here is out new baby! 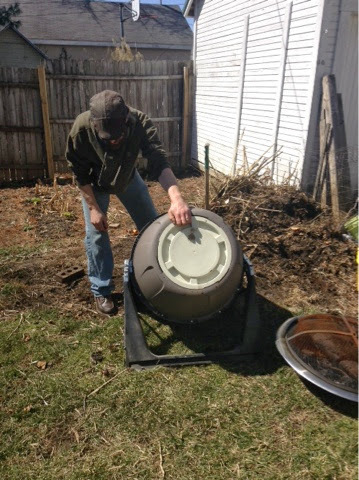 Took us awhile to find a composter we wanted. This one seems good so far. We got it At Menard's for $70. Not too bad. The compost inside is mostly composted already but we are going to need lots more for the other raised beds we made. I made a deal with a local vegetarian cafe to pick up their scraps two days a week so hopefully it will accumulate quickish! I also started another potato tower. 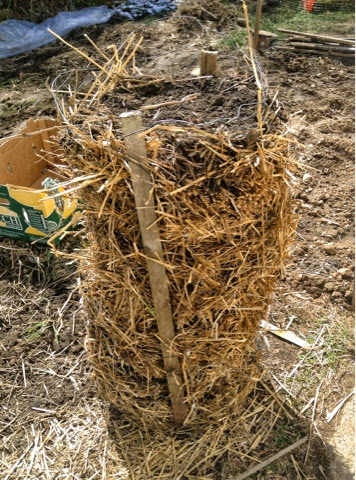 This year I doing mostly straw and just a bit of compost. 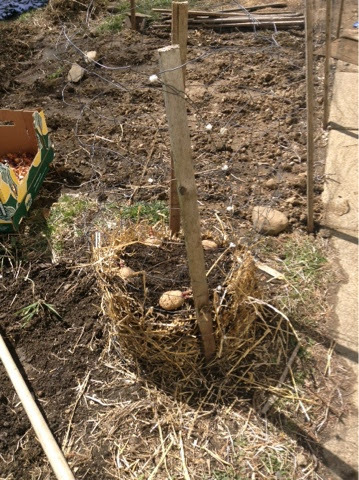 The middle got too compacted last year and the potatoes did not grow well. Hoping the straw will keep it airier. I even planted a little lettuce seed on top. It worked pretty well last year and we got a few salads! 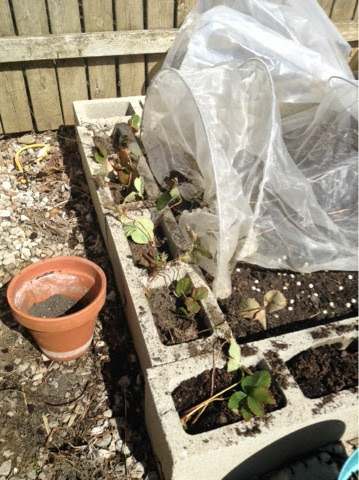 I put these strawberry plants we were getting rid of in the cinder blocks of our raised bed. One week later they look great and I actually think it will work! We are replacing these ever bearing with June bearing since they produce better. One last pic of my only successful container garden experiment. Green onions! Wish you could get bulbs all year. I love fresh green onions!